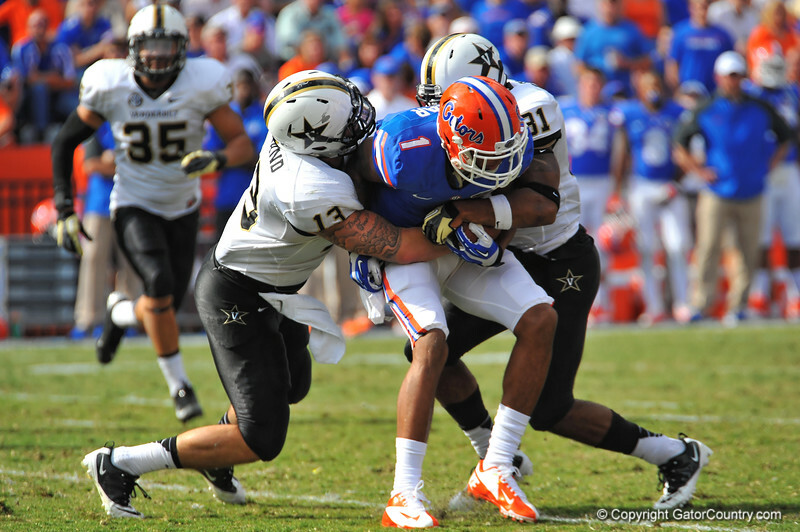 Florida Gator WR Quinton Dunbar is tackled immediately following his reception by Vanderbilt defenders Jake Sealand (13) and Javon Marshall (31). Florida Gators vs Vanderbilt Commodores. Gainesville, FL. November 9, 2013.